View Elisha's completed adaptations here – to build a fully adapted bedroom with wetroom and through-floor lift. Elisha is a delightful and much loved little girl who has quadraplegic cerebral palsy and is prone to seizures which often occur during the night. She was born 15 weeks early. The condition is a result of Necoritising enterocolitis (NEC). It caused a rapid drop in blood pressure and lack of oxygen to the brain which resultled in severe brain damage. The scheme for which we have planning permission is designed to give maximum benefit and inclusion for Elisha but the minimum impact from the additional facilities on the rest of the family, which consist of both parents and 2 younger brothers. We need to build an additional fully adapted and accessible bedroom above the garage with dedicated specially equiped ensuite wetroom and throughfloor lift. We do not know what the foundations of the Garage are like so we need to pull down the Garage, put in double storey foundations and then rebuild so Elisha can have a room upstairs with us. It is essential she is upstairs with the family as she wakes regularly and needs turning. She also has seizures which generally occur at night so we need to be close by. Our current family bathroom will be taken away to make space for Elisha's wetroom and throughfloor lift. Therefore we need to put in a family bathroom downstairs. This will mean extending the porch and downstairs toilet to make space for the Bath/Shower. We also need to make our home fully accessible by adding ramps to the front of the house and the back garden enabling us to get elisha out the house with ease. It is a big project, but I am sure it will be worth it. 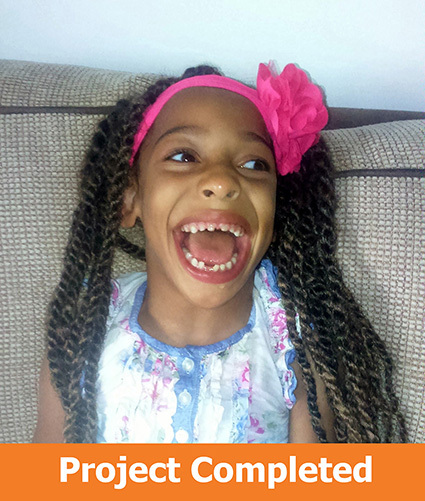 Elisha is a delightful and much loved little girl who has quadraplegic cerebral palsy and is prone to seizures which often occur during the night. She was born 15 weeks early weighing just 1lb 2oz, she was tiny but perfect. The condition is a result of Necoritising enterocolitis (NEC) when she was 6 weeks old. It caused a rapid drop in blood pressure and lack of oxygen to the brain which resultled in severe brain damage. The scheme for which we have planning permission is designed to give maximum benefit and inclusion for Elisha but the minimum impact from the additional facilities on the rest of the family which consist of both parents and 2 younger brothers. We need to build and additional fully adapted and accesible bedroom above the garage with dedicated specially equiped ensuite wetroom and throughfloor lift. Elisha has no Motor skills at present and so needs lifting or hoisting to move her. 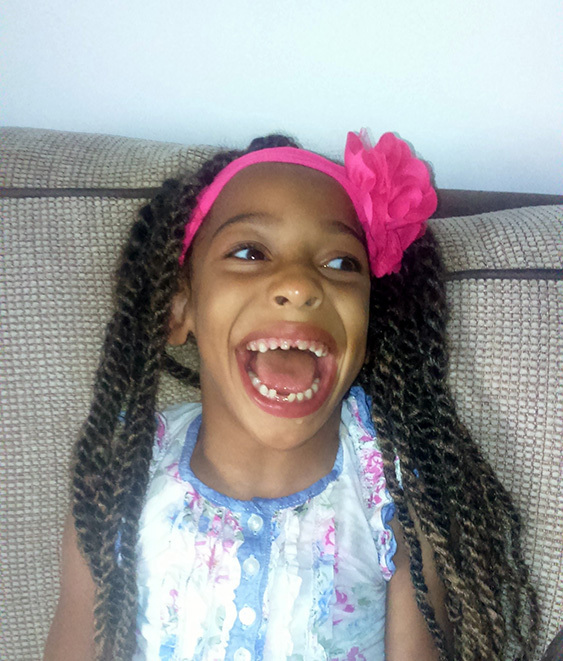 She is unable to speak, but communicates through noises and her most beautiful smile. She is learning to use switches at school, but because of the high tone it takes a lot of effort. Elisha is adored by all who meet her and her 2 younger brothers think she is fab!! We do not know what the foundations of the Garage are like so we need to pull down the Garage, put in double storey foundations and then rebuild so Elisha can have a room upstairs with us.